TRIPI delivers tour operators, guides and tour members new experience for tour management without need for internet access. 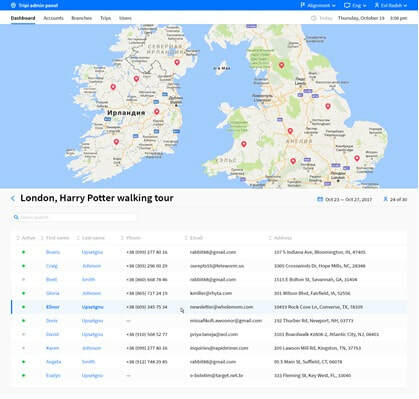 ● For the organization – Real-time visibility, connectivity with the tour guide and group members. 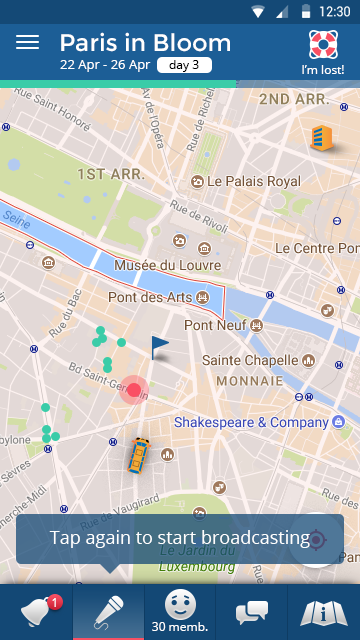 ● For guides and tour participants - mobile application with an offline map, location awareness and real-time communication between the tour members without the need for internet. ​● Voice guidance – The application allows the group to be guided by voice without internet access. ● By using the Tripi voice module instead of FM radio devices (whisper system), your organization will save direct operation costs. ​● Use of Tripi content module and offline maps instead of printed materials. ● Integral tour survey - you will get survey summary by the end of the tour. 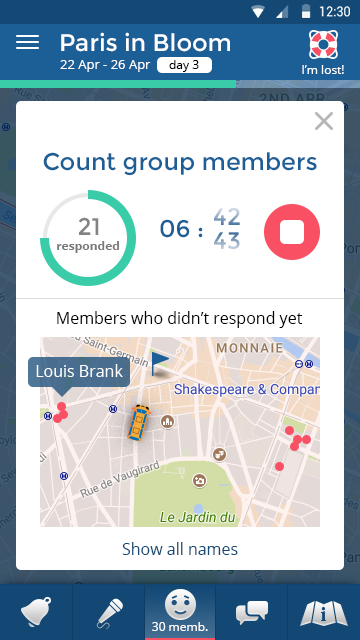 By using the most innovative communication technology that connects travelers’ mobile smartphones, Tripi provides a set of unique tools that enable relevant information exchange between the tour guide and the travelers at the tips of their fingers – quickly, efficiently and easily WITHOUT internet connectivity OR any additional external hardware device (Vox,Whisper). Fast check-in/counting of the group members. Online alerts for members who got lost. Communication with the guide and group members even if they don't have internet access. Offline map + location of the guide, bus, and officials on the trip. Communication with the guide and group without internet access. Voice communication - no additional hardware device is needed. No Vox or Whisper devices are needed. Navigation to the meeting point location.